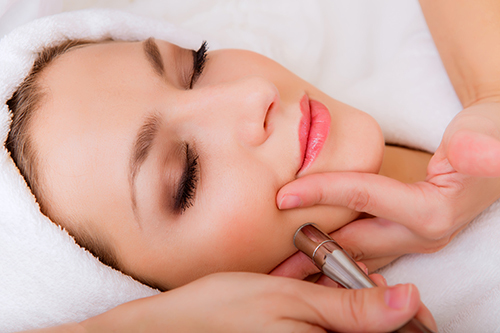 Microdermabrasion is a safe, gentle treatment that instantly gets to work on fine lines, pigmentation, enlarge pores, congestion and dull complexions. This medical strength system uses a jet of fine sapphire crystals which are vacuumed across the skin removing the dead and damaged cells whilst stimulating collagen, that will create brilliant results for your skin. We use the Clairderm Professional System which is Australia’s hardest working, leading Microdermabrasion Machine. Purchase five microdermabrasion and receive your sixth FREE. Great Value!